Sixty two people in Danang City took part in a programme to check dioxin content in blood and all of them found to be contaminated. These were people not previously on the list of AO victims and had shown no symptoms before. Under the Danang Dioxin Assessment and Mitigation Project, funded by Ford Foundation, the tests were carried out in 2006 by Hatfield Consultants, the Vietnamese National Steering Committee 33 for Mitigating the Effects of Toxic Chemical used by the US in the War, and the Vietnamese Ministry of Health. The project was set up to shed light on the effects of dioxin and furan in the environment and people living near Danang International Airport. The project's participants, all the volunteers were over 18 and selected at random. The results of the tests shocked the participants and their relatives. Mr. Vo Duoc, 58 and the oldest in his family, found out that he and 18 members of his family tested positive for dioxin contamination. He said that he wondered how the chemical entered their systems and was worried about the consequences. He added that a number of members in his family have died of liver cancer or suffer from chronic diseases and infertility and said that not all of them have been tested yet. The Danang AO Victims Association chairwoman, Nguyen Thi Hien said, “Many of the people affected are veterans, and many do not present with any symptoms." Early next month, 25 among the 62 the tested will be treated at Military Hospital 103 in Hanoi. They will be provided with free treatment, accommodation and travel fees. Dr. Nguyen Ba Vuong, supervisor of the dioxin treatment department of the Danang victims at Military Hospital 103, said the Hubbard method is expected to bring positive results based on results seen in Thai Binh Detoxification Centre. The method, invented by American scientologist L. Ron Hubbard, was applied in the US and Russia after Chernobyl disaster in 1986. It was also used for American soldiers who joined Gulf War in 1991. While waiting for environmental inspection, the only way for people living in the area to protect themselves from the agent is not to drink from wells. 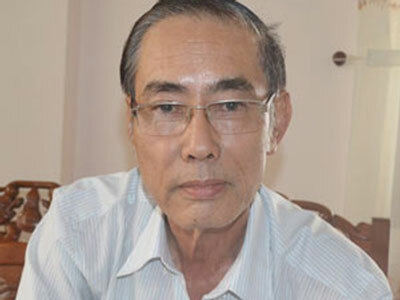 According to Dr. Vuong, the Government has not yet issued any official statistics on dioxin infection levels. Although the need for a detoxification centre in Danang is clear, funds and expertise are still lacking. 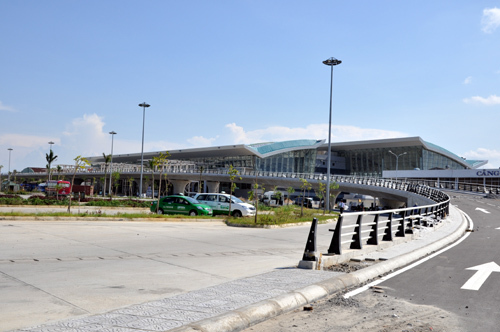 A recent study showed that a high level of dioxin and furan is contained in soil around Danang International Airport. Among chemicals is TCDD, recognised as a cancer-causing agent by the Vietnamese Government and many international organisations.